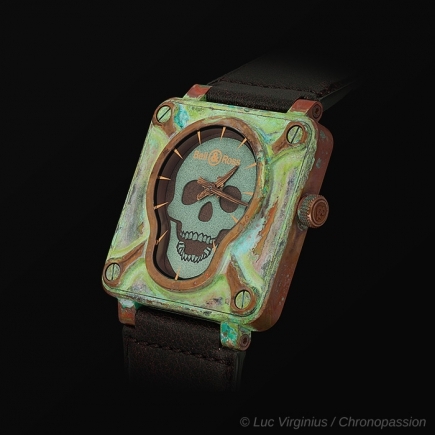 “From the cockpit to the wrist”. Never has a slogan been more appropriate and fitting for a watch brand! 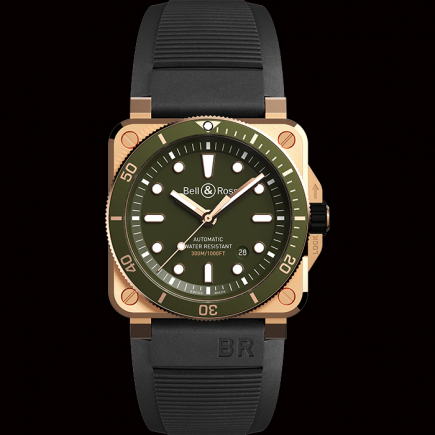 Born in the early 1990s from childhood friends Bruno Belamich (Bell) and Carlos A. Rosillo (Ross), Bell & Ross is a watch brand that has made a name for itself in less than three decades of operation, a feat that few contemporary watch brands can claim to have achieved. 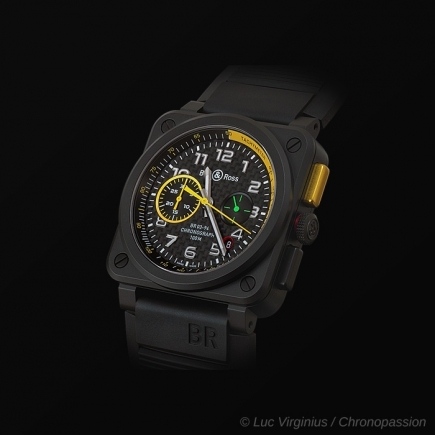 Since the very beginning of the French-based, Swiss made brand, the objective and direction of Bell & Ross as a company were clear-cut: to produce rugged sports watches of style and substance, where the design is inspired by the vast world of military aviation across generations. 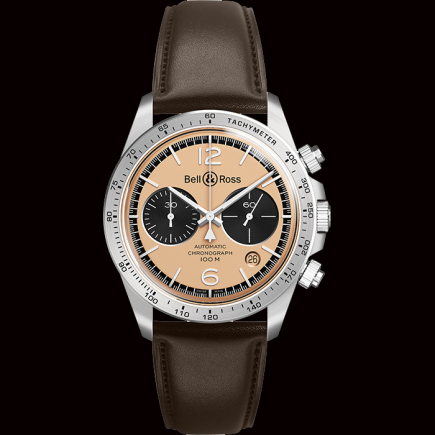 And while the Bell & Ross watch collection is large today, Bell & Ross has never strayed from this brand ethos in each and every watch it makes. 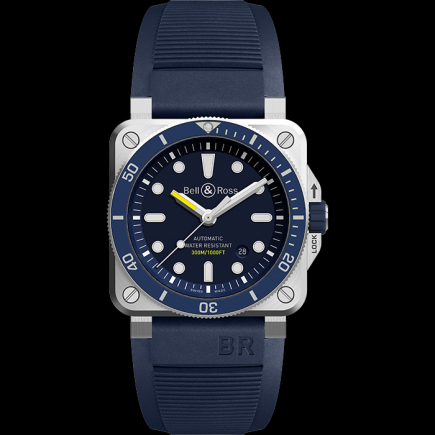 The most emblematic Bell & Ross watch is the unmistakable, modern classic BR-01 black sports watch, with its iconic square Bell & Ross case and highly legible black dial powered by an automatic movement fitted on an extra-wide ergonomic strap. Since its introduction, Bell & Ross has broadened its range of watches, and today its offerings can be divided into three distinct collections, each representing a different style and era of aviation heritage from which Bell & Ross draws inspiration. 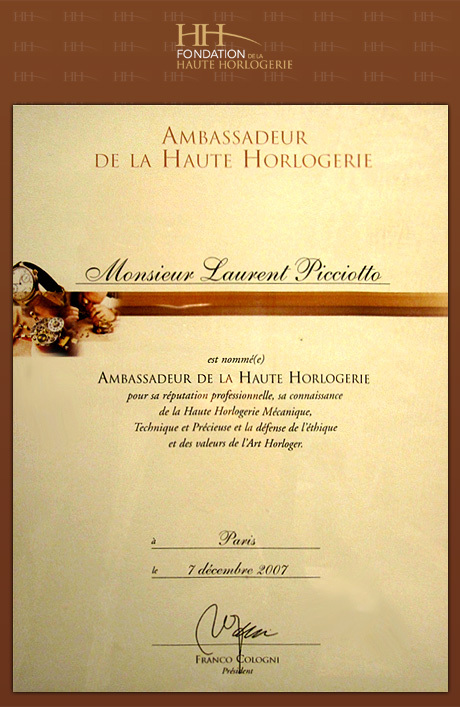 The first is the Bell & Ross Instruments collection of watches, which is the most distinguished collection of the brand. With Bell & Ross watch models inspired by dashboard instruments that can be found in military airplanes from the 1960s onwards, the Bell & Ross Instruments collection of watches features a number of different complications, displays and materials, all in the iconic square watch shape of the Bell & Ross brand. 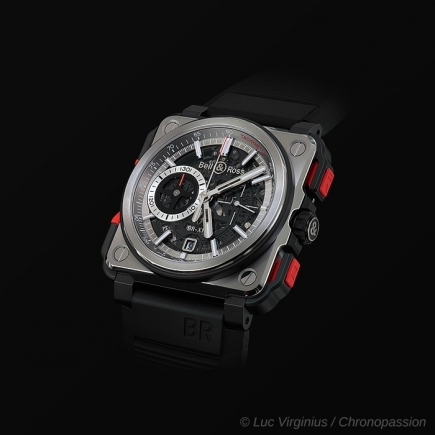 It includes the time-only Bell & Ross BR-01 automatic watch models in steel, black steel, ceramic, gold and other materials, as well as with movement complications like the automatic chronograph, GMT, power reserve and tourbillon. Paired with wide leather or rubber straps, these square Bell & Ross watches, available in different case diameters, are more comfortable to wear than one would imagine from something that looks like it came right out of a vintage military aeroplane’s cockpit dashboard! Going back further in time, the Bell & Ross Vintage collection of watches for men and women revisits the classic aesthetic of utilitarian and military timepieces from the time of pocket watches right through to the Second World War, without necessarily referencing the world of aviation watches. 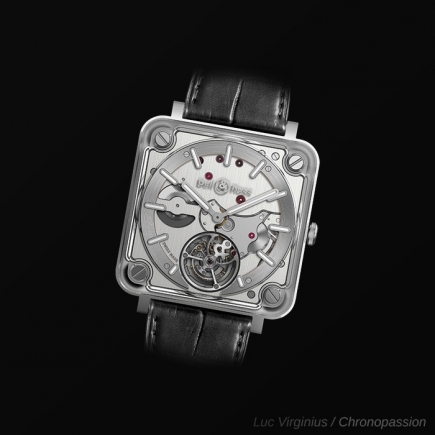 This includes more elegant round steel cases inspired by vintage military watches, paired with leather straps, as well as the retro Bell & Ross BR V chronograph movement range of watches with a different take on the aviation watch design. And finally, as a brand that looks ahead, Bell & Ross has the Experimental collection of watches, which revisits the heritage of the Bell & Ross brand in completely novel ways – breaking away from the aviation heritage. 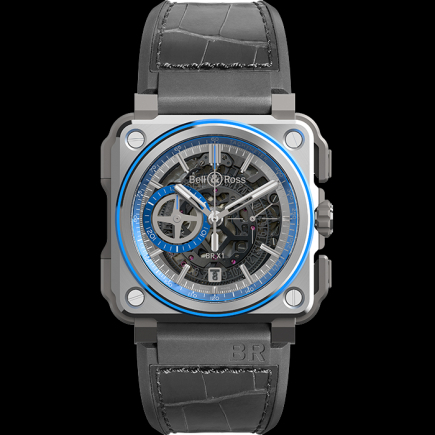 This includes a reinterpreted Bell & Ross square watch case that’s edgier in design and made of materials like forged carbon, transparent sapphire crystal and special titanium alloys among others. These Bell & Ross watches are often paired with more contemporary movement executions to include automatic skeleton chronographs and airy skeleton tourbillons, always produced in a limited edition that boasts great precision with an unexpected watch design – inside and out.